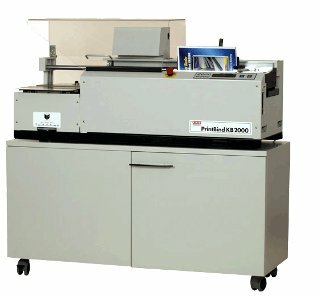 Thermal binding systems turn loose pages into a 'perfect bound' paperbook look in seconds (see plan opposite). 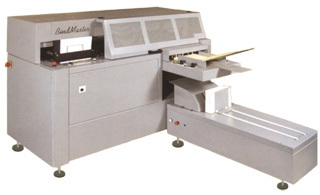 Compact Perfect Binder, The “stuck square back” is an universal binding system, the device prepares and diffuses the glue and fits the cover into the warm glue. 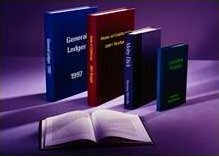 To bind a pad, an accounting balance, one poem, a catalog, a textbook, a price-list, an history, a document of training, a tool for conferences, a detachable block, ... it’s possible. 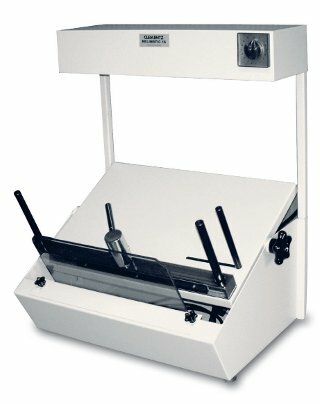 Workshop Perfect Binder : The “stuck square back” is an universal binding system, the device prepares and diffuses the glue and fits the cover into the warm glue. 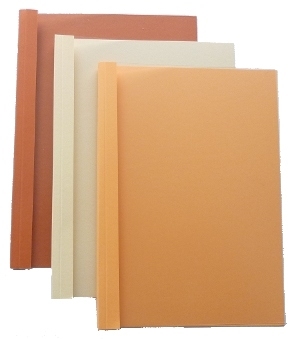 Thermabinder: Planax, binding by thermo-adhesive strip. This is a new technology that uses pre-glued strips in the form of precut rolls. 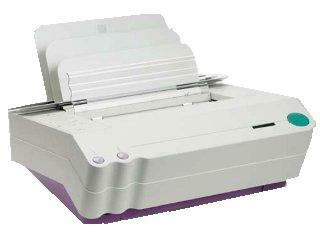 This system permits to link automatically your documents for a perfect and lasting presentation on soft or hard covers. 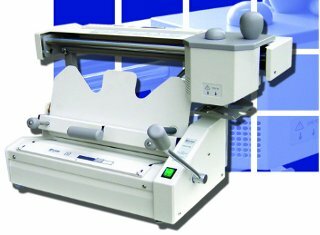 Binding machine by thermoplastic adhesive, cold glue : It is a traditional binding, notching manual, thermoplastic glue, gauze, canvas, etc. A new layer of thermoplastic glue, glue drying by infra-red lamp and finish to tape a border or endossage of library cover.